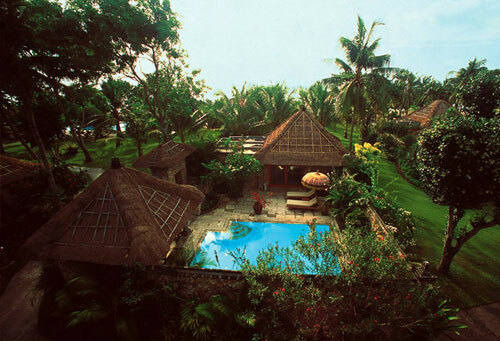 A beachside haven that offers a complete Balinese experience, filled with serenity, hospitality and tropical beauty. Discover all that is serene and mystical about Bali at The Oberoi; a wonderfully secluded cluster of luxury villas Seminyak and lanai set in 15 acres of tropical gardens on Seminyak Beach. Built in traditional Balinese style, you can relax in truly fabulous settings that celebrate your privacy with charming thatched roof villas, private pool villa seminyak, unique garden bathrooms and exquisite interiors featuring Balinese art. Enjoy heavenly views from the swimming pool that looks out at the ocean. This exclusive resort reflects the wonderful romance of Bali. All rooms come with the following features: Satellite television & DVD player . Broadband internet access . Electronic safe . Direct dial telephone with voice mail . Personal bar . Butler service . 24 Hours room service. 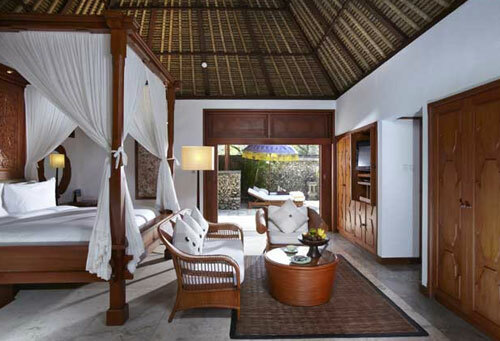 All bedrooms are fully air-conditioned and furnished with teak and Balinese artefacts. 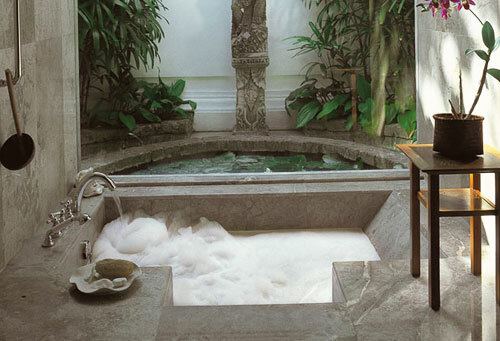 Bathrooms are glass-walled and sunken baths look out into private walled courtyard gardens. The Luxury Lanai has its own high coral stone wall. Every Luxury Villa has a terrace and its own garden courtyard with a raised pavilion for breakfasting privately or dining by candlelight. A generously sized private pool. 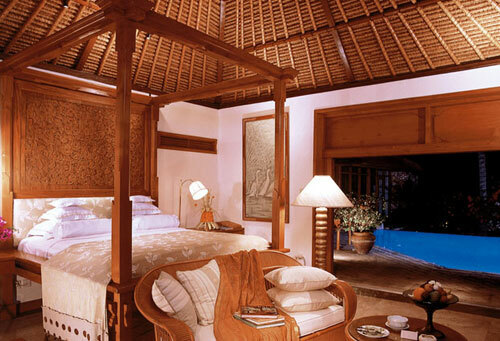 Bedrooms are fully air-conditioned and furnished with teak and Balinese artefacts. Bathrooms are glass-walled and sunken baths look out into private walled courtyard gardens. 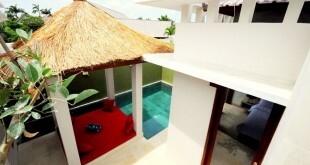 The luxury villas are haven of peace and privacy. Each has its own landscaped garden courtyard with a rock pond. A raised pavilion provides a shady retreat for alfresco dining, and a private terrace overlooks the gardens. The artworks in the bedroom and softly toned fabrics featuring local motifs, reflect the quality and intricacy of Balinese handicrafts. 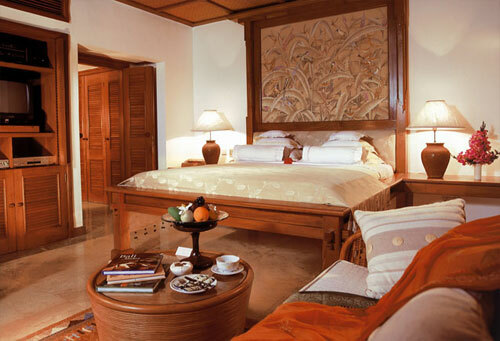 Opulent marble flooring further enhances the bedroom decor and teakwood finishes. The luxurious bathrooms overlooks open-air garden. Each bathroom has a walk-in closet and luggage storage area, two vanity counters, separate stalls for shower and toilet, and a marble sunken bath. Our restaurants offer the very best in finest ingredients and wonderful settings in which to enjoy them. Frangipanié : Frangipani Café is a wonderful place for alfresco breakfast, fresh seafood and light meals. Ideal for breakfast by the beach under the palms. Kura Kura : Our smart but casual restaurant, Kura Kura serves Indonesian, Asian and finest Continental cuisines under an impressively high thatched roof. The Amphitheatr : Our Amphitheatre themed Buffet Dinner and Balinese dance performances 2/3 times a week. Here you can take the opportunity to experience Balinese culture while relaxing over a candlelit dinner. Kayu Bar : The colourful Kayu Bar with its ocean views is an intimate spot for an aperitif or after dinner drinks. Snacks and a bar service are also available. Open-air massage pavilions at the Oberoi Spa in Bali make for a truly memorable and relaxing experience. The pavilions overlook a pond abloom with golden carp, water lilies and tropical plants. Its widely acclaimed Balinese deep-pressure massage relieves physical tensions and induces relaxation.